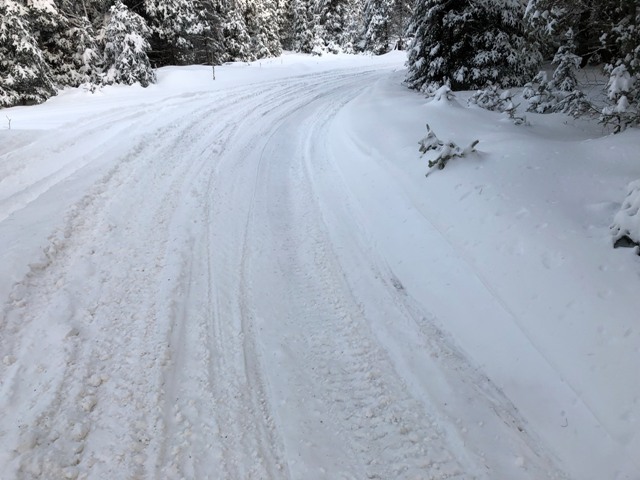 We got another 4 inches of snow yesterday afternoon/evening so our total yesterday was 5 inches. Add that to Tuesday’s snow and this week we had 9 inches. 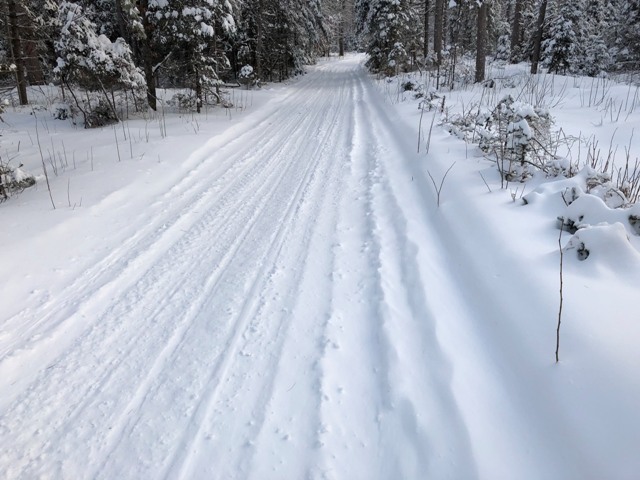 I headed out for a ride to see how things are hitting some St. Germain, Eagle River, Sayner and Sugar Camp trails. 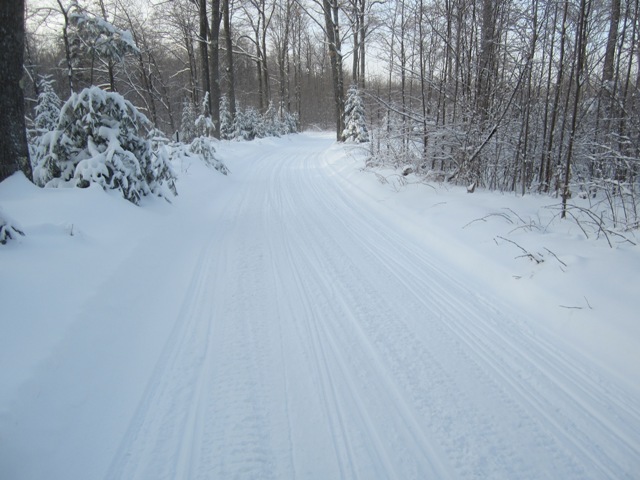 The Sayner trails I rode were groomed. 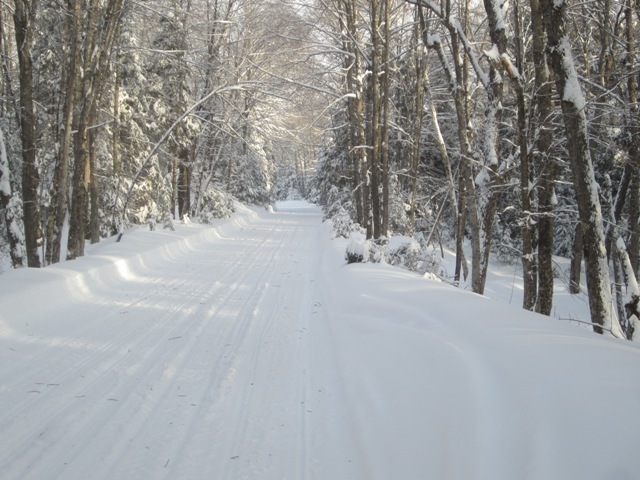 Most of the St. Germain trails I rode were groomed. Eagle River had groomed some of their trails I rode but not others. None of the Sugar Camp trails I rode were groomed. 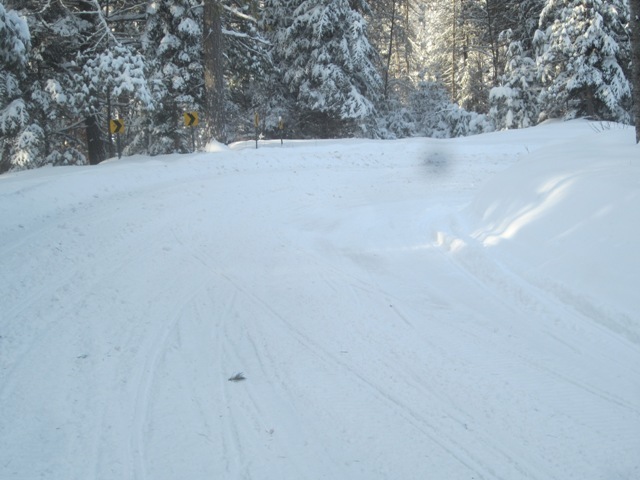 With the temp at -6, the groomed trails were smooth, packed in tight and really fun to ride. 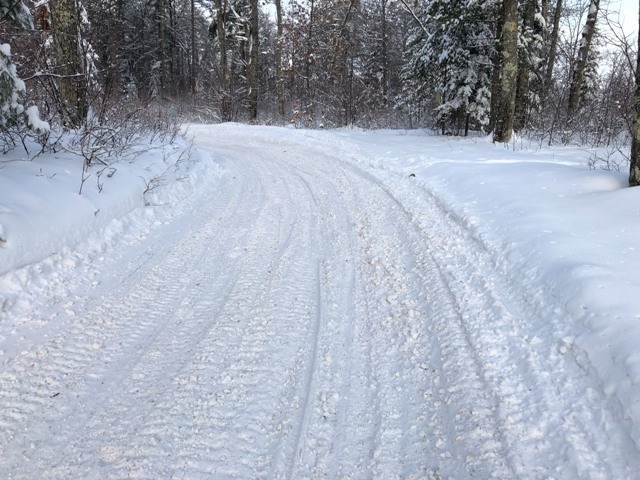 The ungroomed trails were pretty smooth overall but not as nice to ride since everyone likes to ride down the middle of the trail, they were narrow and rutty. There are some pushed out, icy corners. Some stretches were all white and great to ride. I did see some snirt coming through but not as noticeable with the new snow. A couple groomings and some cold temps to work the new snow in and get it to set up which will elevate most trails to good to excellent. It’s windy today so lakes are bumpy from drifting. It looks like were going to have the best trails of the season so get out and ride.